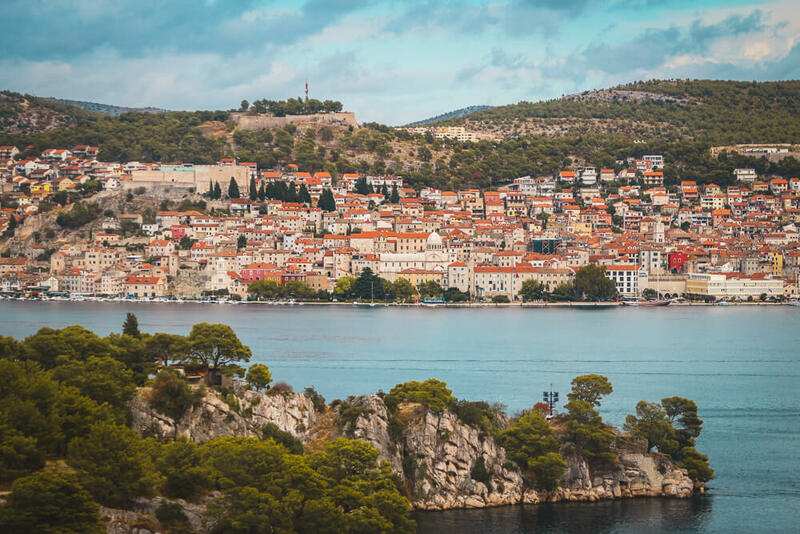 Although Sibenik is a city with a lot to offer, it is often overlooked by travellers in favour of Croatia’s better known cities Split and Dubrovnik. That being said, the city is certainly a destination increasing in popularity, boasting 2 UNESCO World Heritage Sites and a charming Old Town filled with narrow cobblestone streets. 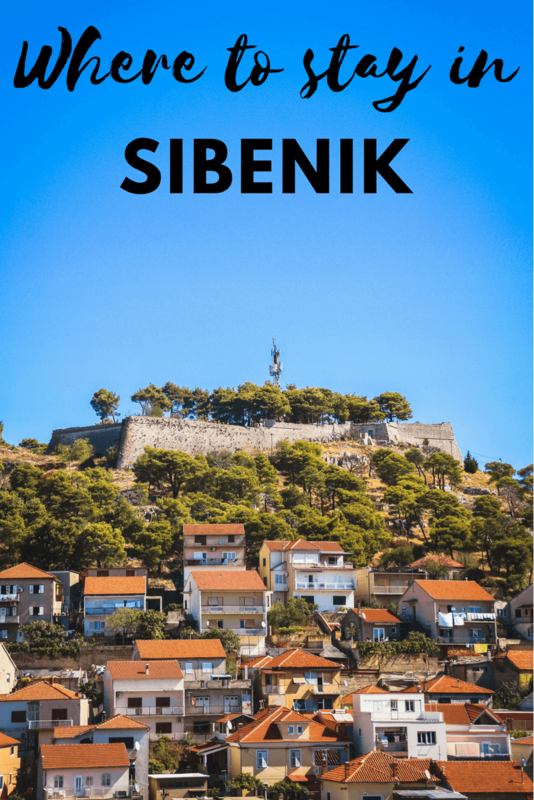 For more on what to do in the city and the surrounding areas, everything you need to know is in this Sibenik guide. Thankfully, it’s possible to find accommodation for all budgets in Sibenik – although if you’re looking for a bargain it’s best to book as far in advance as possible. For a number of great deals, we recommend checking out the properties available on Agoda, but for more detail read our list of the best places to stay in Sibenik. If you’re hoping to keep costs down but still have a comfortable stay, Hostel Splendido is a brilliant budget option. One of the best things about the hostel is its fantastic location just 200 metres from the Sibenik’s Old Town and 500 metres from St. James’ Cathedral. For those on a really tight budget the property has a kitchen, so you can save even more money by cooking for yourself. There’s also a lovely open terrace allowing you to relax and socialise with other travellers. Rooms are fitted with air conditioning and are available from $38 USD per night outside of peak season, although prices can increase quite heavily during the summer. Click here to see Agoda’s latest prices for Hostel Splendido. Hrga rooms is a great budget option close to the centre of Sibenik, as long as you’re happy without air conditioning. The friendly owners will help in any way they can – and will even help park your car on the narrow streets if you’re having trouble. One small downside of the property is that there are a number of stairs to reach it which can be tiring, but the flip side of this is you get fantastic views from above the city. Rooms are available from just $29 per night outside of peak season, making Hrga rooms one of the most budget friendly options in Sibenik. Click here to see Agoda’s latest prices for Hrga Rooms. Apartments Gogi offer 2 reasonably priced apartments very close to the city centre – perfect if you’re looking for a good location with some privacy. The central location means there’s plenty of restaurants and shops nearby, so you’ll never have to venture too far for lunch or dinner! Like many places near the Old Town, the apartments can’t be accessed by car and although parking is available nearby you may have to pay. The apartments both have air conditioning and are a comfortable base for exploring Sibenik’s historic streets. In peak season, the cheaper of the 2 apartments is available from around $66 USD per night, although prices may be higher or lower depending on if Agoda is offering any discounts at the time of booking. Click here to see Agoda’s latest prices for Apartments Gogi. Found in the heart of Sibenik Old Town, Medulić Palace Rooms & Apartments are perfectly located for exploring the city’s historic centre. Unfortunately the location means there’s no parking on site, but it’s only a few minutes walk from a car park if you’ve opted to rent a car. 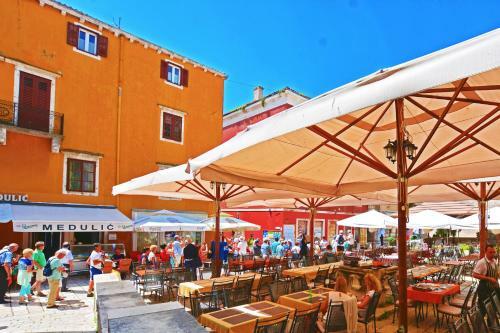 Being in the heart of the Old Town there are a number of restaurants just a short walk away through Sibenik’s cobblestone streets. Rooms are comfortable and feature air conditioning to keep you cool during warm summer days. Prices start from around $82 USD per night during Sibenik’s peak season, with this price often discounted on Agoda throughout the rest of the year. Click here for Agoda’s latest prices for Medulić Palace Rooms & Apartments. D-Resort Sibenik offers luxurious rooms with the bonus of having a pool, gym and spa on site. 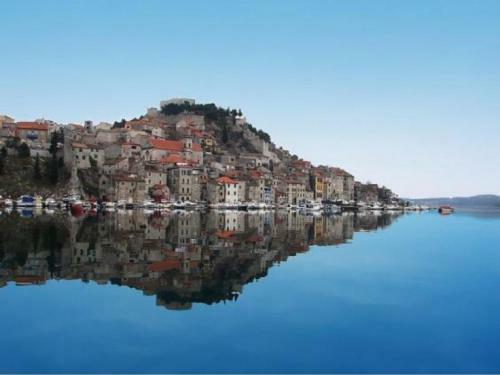 Although the property is located 3 kilometres from the historic centre of Sibenik, this means it has fantastic views of the marina and surrounding area – particularly from hotel restaurant. The hotel itself has been recognised for the impressive contemporary design by architect Nikola Bašić – best known for his art installations, a Sea Organ and Greeting to the Sun in the city of Zadar. Every room is equipped with air conditioning and a private balcony for you to appreciate the view. Although you won’t be staying in the city centre, it’s just a short taxi or bus ride away. You’ll find staff extremely accommodating, making sure your stay surpasses your expectations. We’ve seen discounted rates on Agoda from $120 USD, although prices may be higher or lower than this – with increases to be expected during the summer when more people visit Sibenik. Click here to see Agoda’s latest prices for D-Resort Sibenik. If you’re looking for a luxurious stay with privacy, then Apartment Adi is a great option. Located just outside the historic centre of Sibenik, the apartment is only 400 metres away from St.James’ Cathedral – a UNESCO World Heritage Site. 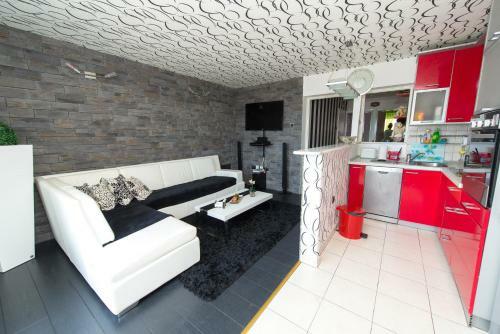 The 2 bedroom apartment itself is modern and stylish, with everything you need to make your stay comfortable – from air conditioning to your own kitchen. With a balcony overlooking Sibenik’s waterfront you have the perfect place to spend your evenings enjoying a drink with a view. Apartment Adi makes for a great base to explore the city, with a number of bars, restaurants and attractions nearby! Prices vary depending on your dates, with the apartment available for around $121 USD per night in peak season. This rate is often discounted on Agoda though, so it’s possible to get yourself a great deal! Click here to see Agoda’s latest prices for Apartment Adi. 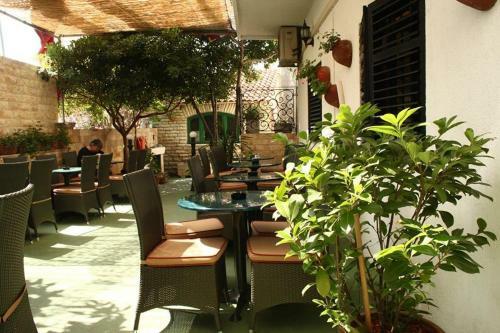 Like our recommendations for the best places to stay in Sibenik? Pin them!